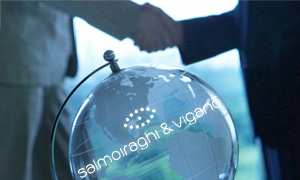 The Purchasing Portal of Salmoiraghi & Viganò is the web tool for the communication and interaction with Suppliers which guarantees the transparency of the negotiations and the efficiency for both parties. Salmoiraghi & Viganò has implemented an innovative system of on-line Suppliers Management (Vendor Management) to improve the relationships with suppliers promoting their candidacy and qualification. The system will give you the opportunity to select the products/services of your Company through the classification tree, the main tool for the selection of suppliers to be involved in the negotiations published on the portal. The successful completion of the qualification process through the selection of the product categories and the completion of generic and category specific questionnaires where present, is in fact considered to be a necessary condition to be involved in online events. Salmoiraghi & Viganò thanks you for having joined the project and invites you to access the portal by entering username and password in the dedicated login box on the left side.